Native plant advocates claim that native wildlife benefits from native plant restorations. There is an intuitive logic that native animals require native plants. After all, didn’t they “evolve together?” In this post we will evaluate this claim, using our own eyes and what little scientific evidence is available about interactions between plants and animals. The scientific literature informs us that wildlife does not necessarily benefit from native plant restorations and sometimes they are harmed by them. The assumption that native animals are dependent upon native plants underestimates both the ability of animals to adapt to changing conditions and the harm caused by methods used to eradicate non-native vegetation. 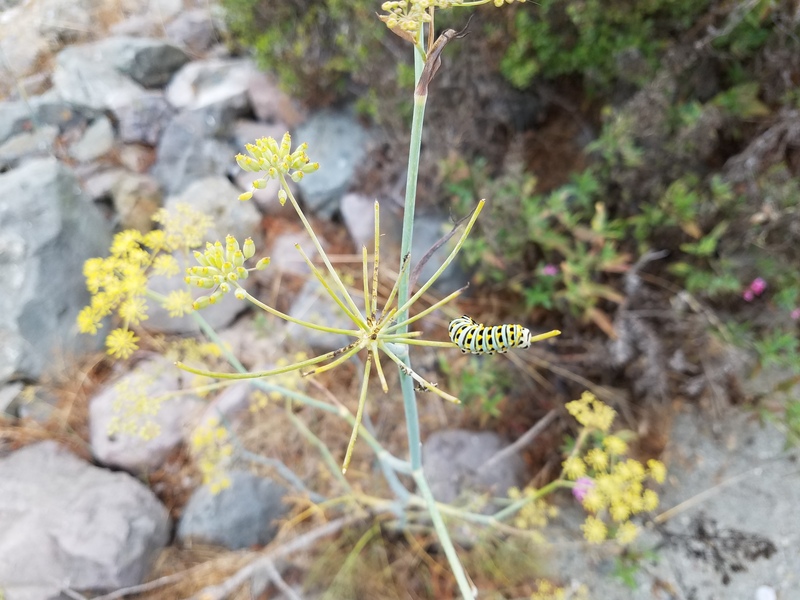 The most conspicuous example of a butterfly making use of an introduced plant is the migrating Monarch which overwinters in eucalypts in many locations on the coast of California. 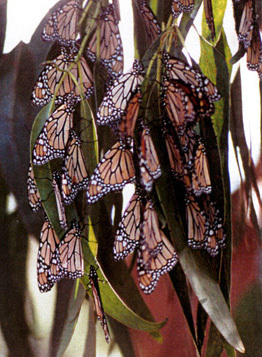 A study of 180 of those locations found that 75% of the trees in which monarchs roost in the winter are eucalyptus. Interactions were frequently reported in non-native blackberry, which is found in most parks in San Francisco. It is one of the most productive food sources for birds in San Francisco. Unfortunately, it is being eradicated in many parks because it is non-native. Since the birds eat it in one location and “deposit” its seeds in other locations, complete eradication of this important food source for wildlife seems unlikely. The non-native blackberry also provides cover for wildlife. It is an impenetrable bramble both physically and visually. Birds and small mammals hide and make nests and dens in these thickets. Coyotes are resident in San Francisco. The thick undergrowth which has been removed in some parks by the Natural Areas Program now allows unleashed dogs to pursue them in areas where they were protected before. If the safe havens of urban wildlife are destroyed, the animals may seek shelter elsewhere, a move that may be dangerous for them. 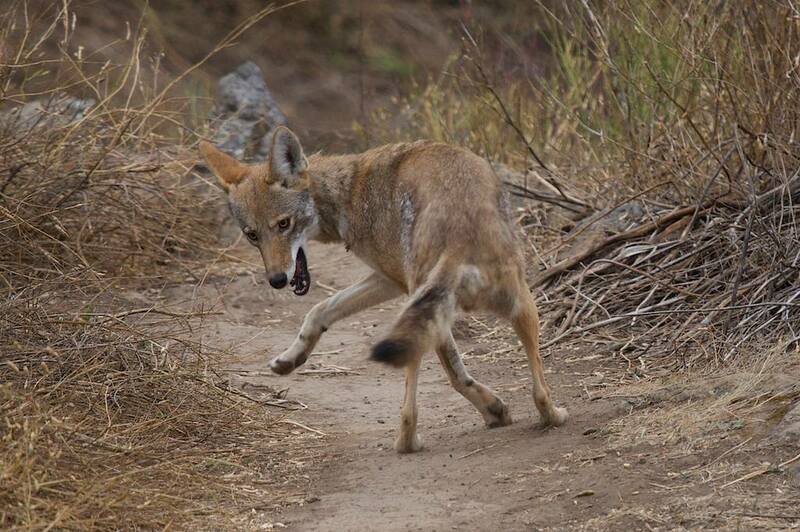 For more information about the rich family life of coyotes in San Francisco and what you can do to protect them, visit the CoyoteYipps blog. 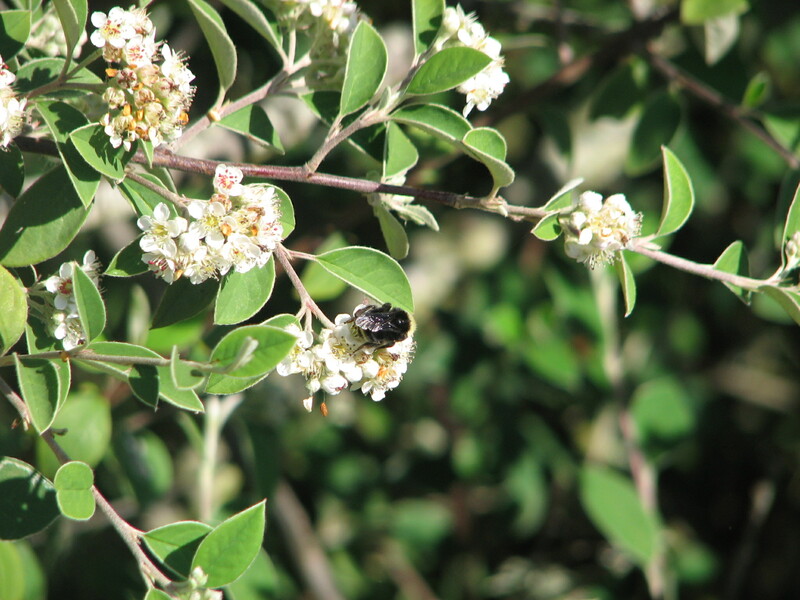 Native plant restorations also require the use of herbicides to eradicate non-native trees and plants. Herbicides are sprayed on the blackberries that are a major food source for wildlife. UCSF, when announcing its intention to destroy much of the forest and its understory on Mt. Sutro, has said that herbicides (Garlon and Roundup) must be used to implement their plans. (Update: UCSF recently made a commitment to NOT using herbicides on Mount Sutro.) Herbicides are used by most managers of public land to eradicate non-native plants, including by the Natural Areas Program in SF, the East Bay Regional Park District, and federal lands in the Bay Area such as GGNRA and Pt Reyes National Seashore. The Natural Areas Program in San Francisco is committed to the restoration of native plants to the city’s parks. It is not designed to benefit the animals that most urban dwellers call “wildlife.” Their management plan categorizes native raccoons and skunks as “subsidized predators,” along with a long list of non-native wildlife such as opossums. They recommend “control” of all of these animals if they have an effect on native wildlife populations. “Control” in this context should be interpreted as extermination. Legally protected species such as Red-Legged Frog, San Francisco Garter Snake, Mission Blue Butterfly, and Western Pond Turtle are the only wildlife of interest to the Natural Areas Program. 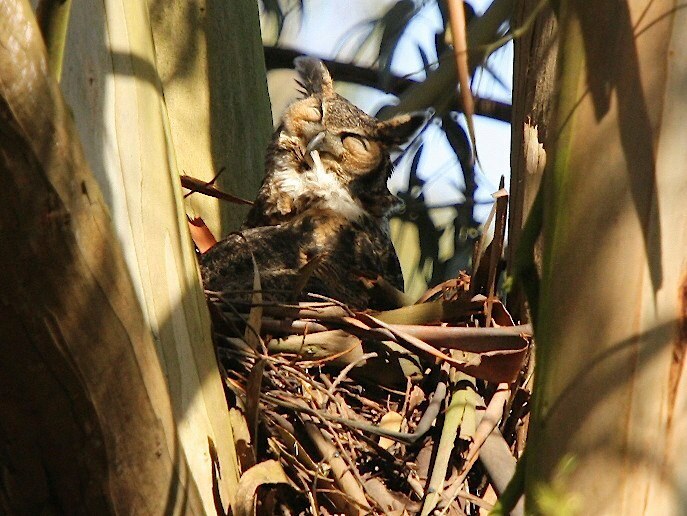 Extensive efforts are made to reintroduce these legally protected species to the parks of San Francisco. Why? Because the legal protections for rare animals are much stronger than the legal protections for plants. If a population of legally protected animals can be established, drastic measures are required to maintain them. For example, toxic herbicides that are otherwise banned by the SF Department of the Environment are permitted on Twin Peaks because the Mission Blue Butterfly has been reintroduced there. Prescribed burns are required on San Bruno Mountain because the Mission Blue exists there. Trees are being destroyed on Hawk Hill in Marin County because habitat for the Mission Blue is being restored there. The migrating raptors that use these trees do not have the legal status of the endangered butterfly, so their needs are secondary. Micro-managing nature benefits few animals, least of all humans who watch their parks being torn apart by an ideology that is destructive at its core. (3) Marin Municipal Water District, Herbicide Risk Assessment, page 4-24. Adaptation to exotic species by specialist herbivores is unusual. Those butterflies that switch to exotics tend to be generalists already. This idea that exotic plants are as good for wildlife as natives is just plain pathetic, especially for anyone who knows about herbivory patterns on native and exotic plants. Insects eating plants are at the base of the food chain and native plants have more insect herbivores and support more native birds. Doug Tallamy’s work shows this in the eastern US conclusively. I certainly feel for the loss of trees, but the alternative is that we accept a homogenized set of urban-tolerant plants and wildlife. Maybe that’s ok if you don’t know the difference, but for those of us who actually pay attention it is profoundly sad. This is brilliant! Thank you so much. Those people who want non-natives gone, should start with their own yards and then end with themselves. Biotic homogenization, defined as the process whereby species assemblages become increasingly dominated by a small number of widespread species, represents further losses in biodiversity that are often missed when only considering changes in absolute numbers of species. Human activities have both negative and positive impacts on species. The many species that are declining as a result of human activities tend to be replaced by a much smaller number of expanding species that thrive in human-altered environments. The outcome is a more homogenized biosphere with lower species diversity at a global scale. One effect is that in some regions where diversity has been low because of isolation, the species diversity may actually increase—a result of invasions of non-native forms (this is true in continental areas such as the Netherlands as well as on oceanic islands). Recent data also indicate that the many losers and few winners tend to be non-randomly distributed among higher taxa and ecological groups, enhancing homogenization (http://www.millenniumassessment.org/documents/document.273.aspx.pdf). But there is a far stronger reason why the homogenization argument is not a scientifically valid argument. The fact that there are “winners” and “losers” in a changing environment is more accurately described as natural selection by evolutionary science. The “winners” don’t stop adapting and evolving when they arrive in new ranges. Within generations the winners develop new characteristics in response to their new surroundings and their new neighbors (genetic drift contributes to those changes). In the long term, they will be new species and that transition will not be observable in the short time span of humans. The monkeys that came to the New World from Africa are now distinct species of monkeys. Would you say that primates are now globally “homogenized?” If you understood the functioning of evolution, you would not say that. The study of the collapse of Earth’s marine life 378 to 375 million years ago suggests that the planet’s current ecosystems, which are struggling with biodiversity loss, could meet a similar fate. Although Earth has experienced five major mass extinction events, the environmental crash during the Late Devonian was unlike any other in the planet’s history. The actual number of extinctions wasn’t higher than the natural rate of species loss, but very few new species arose. “We refer to the Late Devonian as a mass extinction, but it was actually a biodiversity crisis,” said Alycia Stigall, a scientist at Ohio University and author of the PLoS ONE paper. “This research significantly contributes to our understanding of species invasions from a deep-time perspective,” said Lisa Boush, program director in the National Science Foundation (NSF)’s Division of Earth Sciences, which funded the research. The research suggests that the typical method by which new species originate–vicariance–was absent during this ancient phase of Earth’s history, and could be to blame for the mass extinction. These small, shelled marine animals were some of the most common inhabitants of the Late Devonian oceans, which had the most extensive reef system in Earth’s history. As sea levels rose and the continents closed in to form connected land masses, however, some species gained access to environments they hadn’t inhabited before. “Even if you can stop habitat loss, the fact that we’ve moved all these invasive species around the planet will take a long time to recover from because the high level of invasions has suppressed the speciation rate substantially,” Stigall said. Maintaining Earth’s ecosystems, she suggests, would be helped by focusing efforts and resources on protection of new species generation. This is not a scientifically valid use of the word “invasive species.” That term is used exclusively to describe species introduced by humans outside the native ranges of the introduced species. This publication is reporting on the rise of new species during the Denovian Period, about 400 million years ago, long before humans—or primates for that matter—existed. To suggest that new species are “invasive” when they initially evolve is to deny the existence of evolution. PLoS ONE is partly peer-reviewed. The point of citing this article is to point out that the present-day introduction of exotic species by humans in the Antropocene (the sixth great extinction) is similar in effect to the reconnecting of landmasses by tectonic forces. In a way, we are re-connecting Pangea. When North America and South America became connected through the rise of Isthmus of Panama, there was a mass extinction of the South American fauna. Webmaster: I understand the point of this article. The application of events in deep-time to present day circumstances is considered questionable by many academic ecologists. Major geological events, such as the break-up of Pangaea, are not comparable either in their impact or their relevance to the Anthropocene, in which most environmental impact is directly attributable to the activities of humans. Your citing of one study by John Marluff and over-generalizing to assert that homogenization is a myth does not stand up to scientific scrutiny. That is why I cited the two bird studies. Webmaster: John Marzluff’s book is not a single study. It is a book that is a compendium of studies done by many researchers, including his own studies. There are over 400 references to those studies in Professor Marzluff’s book. This comment has been edited as forewarned by the Webmaster. I was intrigued by the use of the word “invasion” to describe faunal change in deep time, so I decided to do more research. First, a brief description of my research: I read a couple of Stigall’s papers and a chapter she wrote in Species and Speciation in the Fossil Record. I attended lectures at the Paleo Museum at UCB and a graduate seminar at UCD on speciation taught by a Professor of Ecology and Evolution and a Professor of Paleontology. The subject of the graduate seminar was specifically Stigall’s publications. •	Although some paleontologists use the word “invasion” to describe faunal changes in deep time, most do not. Those who don’t use that word for that purpose, consider it a word that describes the introduction of new species outside their native ranges by humans, not natural events. •	Many paleontologists do not think that such events in deep time are directly applicable to the present for several reasons. The fossil record is incomplete and can be easily misinterpreted. Relevant variables that are appropriately used to evaluate “invasions” in the present are unknown in deep time. For example, when native marine animals are displaced in the present, changes in the environment such as water temperature and salinity are more often the cause than the presence of introduced species. If the introduced marine species are more competitive, it is more likely because of changes in the underlying conditions. These conditions are unknown in deep time. •	Neither of the professors at UCD believes that the fossil record can be used to predict outcomes in the present with any accuracy because of the many factors unknown in deep time that are relevant to present day ecological communities. •	Stigall’s research is specifically on marine mammals. She does not claim that her generalizations about application to present “invasions” are also true of terrestrial animals or to plants. You have sent me a couple of other studies that I plan to research further, but they are still in press. You can keep sending me studies if you wish. However, please don’t expect me to publish them until I have had an opportunity to read them. That can take some time, as was the case with the Stigall paper. Our planet faces two major and interrelated environmental crises: climate change and Earth’s 6th mass extinction event. Concerns about climate change prompted the recent Paris Agreement1, a deal for coordinated global action which sets a clear, scientifically based target for ensuring a safe climate. On this Earth Day, 2017, we propose a companion pact—a Global Deal for Nature—to protect nature and the diversity of life on our planet. The scientific evidence is indisputable that we are now living through Earth’s sixth great extinction crisis2. Species are disappearing about 1,000 times faster today than they have previously, as human activity converts habitat and food sources to incompatible land uses. Many of our planet’s most iconic species, including tigers, giant pandas, elephants, down to the smallest orchids and hummingbirds, could disappear forever by the end of this century if intensive forest clearing and hunting continue. Rainforests and coral reef systems, repositories of the most number of species, are in decline. Degradation of the natural environment is impacting the ability of people to thrive or even survive, be it through loss of access to clean drinking water or important subsistence species, or through disruption or displacement due to climate-related storm events. There is an alternative future. Scientists agree that we can enhance global ecosystem recovery by designating half of Earth’s land and seas as connected networks of protected areas, to enable the recovery of Earth’s biodiversity and the preservation of indigenous communities rights worldwide who are stewards of much of the world’s biodiversity3,4. At the same time, consistent with the Sustainable Development Goals (SDGs5) and other mechanisms, we can ensure that the other 50% set aside for development is designed to support the livelihoods of all people, and achieve this goal by 2050. Building towards this future is essential to allow nature and humanity to survive and thrive, especially because 9 billion people will likely inhabit the Earth by 2050. Arriving at this balance requires a rapid shift in course. There is one Earth. We must honor a new-found commitment to save the space necessary to conserve most all of nature’s species, and the processes that sustain life on it—we must create a global safety net for the web of life. It took 3.8 billion years to create the world we live in; we are now called upon to change course in order to keep it healthy. With enough public support we can generate the political will for governments and local communities to ensure that the 21st century becomes the most hopeful for nature and humanity. 1. Expanded Habitat Protection: Half the terrestrial realm and 30-50% of the marine realm should be protected in an interconnected way while safeguarding the sovereign rights of indigenous communities. Doing so will be necessary, if not sufficient, to thwart the extinction crisis. From a static view, the goal of half-protected by 2050 seems impossible. Currently, 15% of the terrestrial realm is protected, but a recent study just published in BioScience4 shows that among the Earth’s 846 terrestrial ecoregions—ecosystems of regional extent—nearly 100 are already half-protected, and up to 2/3rds of all ecoregions could reach 50% by putting more lands under conservation management or in some cases active restoration of degraded habitats. Nature is not evenly distributed, however, so careful planning of where these new reserves should go to do the most good is vital. 2. Respecting Indigenous Conservation: Indigenous land conservation and respect of indigenous rights must be central to any new deal for Nature. Full stop. Human rights must be at the center of conservation and much of the world’s biodiversity resides on indigenous lands. Their direction and voice in how to craft such a deal for nature, uniting traditional and scientific knowledge, is the best way to save life on Earth. 3. Large Mammals Lead the Way: Across Africa and parts of Asia, signs point to the end of the megafauna—the large mammals that delight and inspire us and ensure that ecosystems function effectively6. Rather than let them slip away as an anachronism in this modern age, we should channel resources to recover them as we have done so successfully for the southern white rhino and savanna elephants at various times in the last century7,8,9. Other smaller endangered species, restricted to isolated habitats must be recovered and safeguarded. 4. Appropriate Technology: As humans reduce our footprint through appropriate new technologies, growing urbanization, soil building agroecology and intensified aquaculture, it is possible to feed even 9 billion people and still leave room for the other 10 million species on the planet. In this new configuration, a Great Decoupling10 of our need to clear more land, or exploit new frontiers, an alternative is taking shape. One in which all new infrastructure becomes environmentally friendly infrastructure, cities are redesigned and created to be green cities with cheap energy for development, and degraded lands are restored to health. The future will be exciting and prosperous if ecological harmony becomes part of the design, especially if embraced by all corporations, starting with those with major global footprints. The Paris deal and a Deal for Nature are interdependent. Together they are more likely halt the acidification of the world’s oceans and the decline of coral reefs, thereby protecting essential fisheries that feed a large part of humanity. Preventing the drying up of the central Amazon rainforest would lead to saving millions of species, and would avoid changes in weather patterns and precipitation, both in South America and far from the tropics where the world’s cereal crops are grown. Studies also show that protecting and restoring the species-rich tropical rainforests is the single cheapest action that requires no advanced technology to mitigate global carbon dioxide emissions. The list goes on. The annual bill for all of the above amounts to about what Americans spend annually on pet food and grooming, about $25 billion11. The payoff would be a living planet for future generations to enjoy and prosper. Earth’s bounty underpins human well-being, and yet we are poised to wipe these out in the blink of an eye in geological time. Now it is time to give back before our living standards and spirits are further diminished by the loss of the diversity around us. With recent advances in technology and globally available earth information systems, we have the tools necessary to protect most of life on Earth and monitor our progress, should we organize and choose to do so. Adding a Global Deal for Nature would better allow humanity to develop a vibrant low-impact economy while leaving precious room for the rest of life on Earth. We must elevate this Deal to become the overarching conservation paradigm for this century. The two deals together foster nature and humanity’s health and a future for all species and future generations. 4Wilson EO. 2016. Half Earth: Our Planet’s Fight for Life. Liveright. United Nations. 2017. 7Andrea K. Turkalo, Peter H. Wrege, George Wittemyer. 2017. Slow intrinsic growth rate in forest elephants indicates recovery from poaching will require decades. Journal of Applied Ecology 2017, 54, 153–159. 8Thouless, CR, et al. 2016. African Elephant Status Report 2016: an update from the African Elephant Database. Occassional Paper Series of the IUCN Species Survival Commission, No. 60 IUCN / SSG Africa Elephant Specialist Group. IUCN, Gland, Switzerland. 10Fischer-Kowalski M, Swilling M. 2011. Decoupling: Natural Resource Use and Environmental Impacts From Economic Growth. United Nations Environment Programme. There is not a consensus among academic scientists that EO Wilson’s goal is realistic. His angry retorts to questions about his proposal was a defensive display of the misanthropy that informs his opinions about the natural world. Invasion biology tends to think of humans as outside nature, intruders in nature.